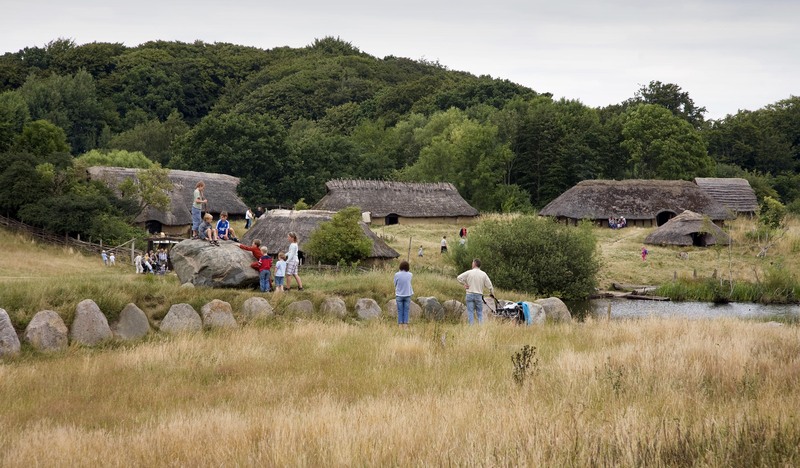 The Lejre Centre, near Roskilde, is the oldest one in Denmark and over decades, has been example to many. 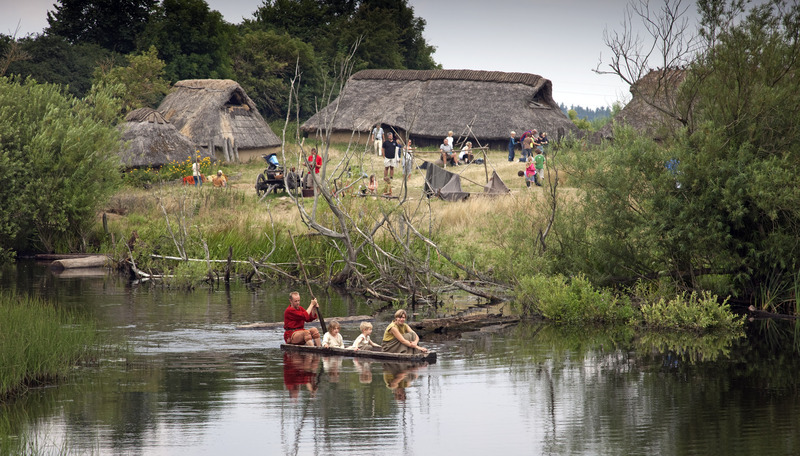 The extensive site was in the 1960s scene for an experimental archaeology village, later followed by an experiment in ethnographic education and now famous for its Iron Age scenery as well as Mesolithic, Viking Age and post medieval area. There are some buildings with craft’s workshops on textiles, forging, ceramics et cetera. The surrounding landscape is an important asset as well as the animals, among others aurochs and sheep. The Centre is recognised as Danish National cultural historical experimental station as well as extra curriculum education centre. Lejre is famous for attracting experimental specialists from Denmark and beyond; both new talent and existing leading experimentalists are linked to Lejre by their “research grant”: for executing experimental research at Lejre itself. These experiments are a point of interest for the Summer visitors. From its founding, Lejre has been setting the tune between archaeological open-air museums. 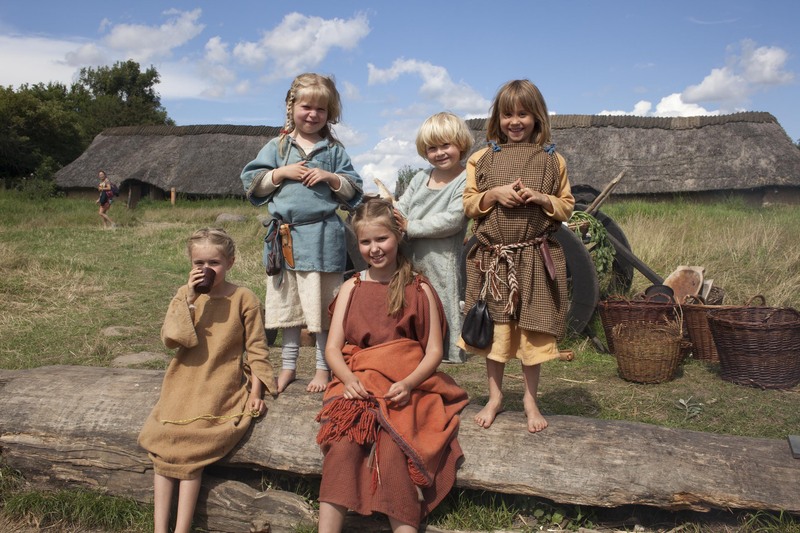 One of the trends they started was having ‘modern’ families spending their holidays in the (re)constructed Iron Age settlement – in “Iron Age” costume that is: those are the periods when the houses are not in use by school groups and the museum is filled with tourists who like to see “life”- no signs, guide or audio guide. Their serious image has given Lejre a place between the “classic Danish excursions” - a must-see. The motto “I try – I understand” means that all school children as well as tourists are being activated and stimulated to start wondering, to start reflecting by not seeing their own prejudices about the past confirmed. The past needs to be exciting and fun and must appeal young and old. At Lejre one is not focussed on “past technique” only – the culture of the Danes in the past is central – with relevance to the present Danish society.